Viacom’s board is thumbing its nose at shareholder value with its latest pay package for its chief executive. That may not seem apparent at first: Philippe Dauman’s bonus was slashed by 30 percent last year, at his insistence, as the media company struggled. He also, though, received stock worth $17 million when he signed a new contract to stay on through 2018 as boss – all while revenue, earnings and shares fell. In total, Dauman’s compensation topped $54 million, as the company’s proxy statement laid out on Friday. That’s some 22 percent more than the value of his 2014 salary, bonus and other benefits. It’s by no means the highest payout in the media industry. Discovery CEO David Zaslav received $145 million in stock and options tied to performance when he signed a new six-year contract in 2014. That helped put the industry’s median CEO comp at around $33 million, the highest among sectors in the S&P 500 Index. Viacom, the owner of MTV and Paramount Pictures, has struggled much more than its rivals though. Revenue last year fell 4 percent and earnings dropped by a fifth. Meanwhile, shares fell by a whopping 43 percent. Strip out the contract awards, and the optics look a little better – Dauman’s pay was down 16 percent at $37 million. But it’s still more than he earned for the company’s 2013 financial year when net income jumped by almost a fifth and the stock surged 57 percent. A few inside the company will at least feel the benefit of Dauman’s bonus sacrifice, down from $20 million in 2014: he asked for $2 million to be withheld and reallocated to other executives. For shareholders, though, Viacom’s pay practices seem like an apt example of the tin-eared nature of owner and Chairman Sumner Redstone’s broader empire. 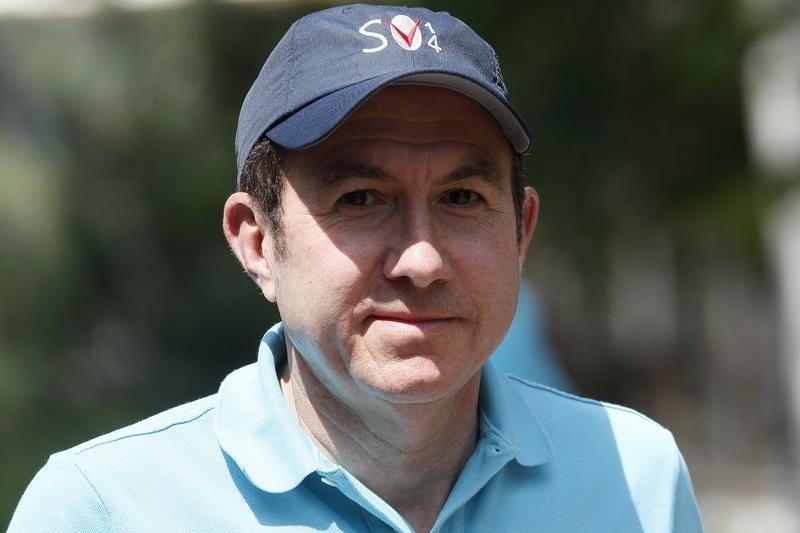 Viacom increased Chief Executive Philippe Dauman’s compensation by 22 percent in the company’s 2015 financial year to $54.2 million, according to the company’s proxy statement which was released on Jan. 22. Excluding contract-renewal stock awards, his total compensation fell 16 percent to $37.1 million. Viacom reduced the compensation of its owner and Executive Chairman Sumner Redstone by 85 percent to $2 million in light of his reduced responsibilities.